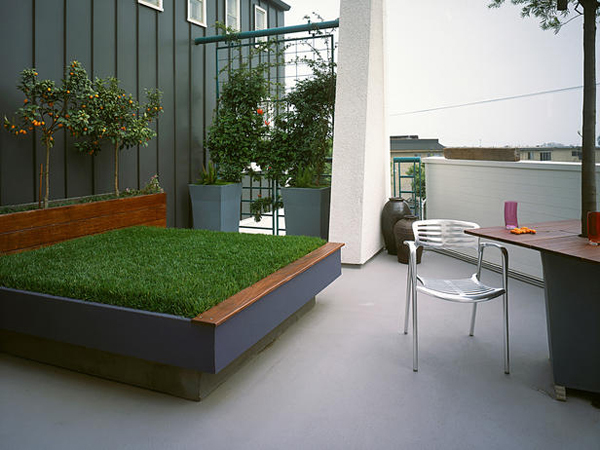 Summer is in a month so it’s time to think about an outdoor lounge area that will provide comfort and a way to cool off. Even if you don’t have a swimming pool you can still create a shady lounge area to relax and spend time with family and friends. 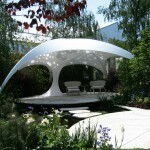 A beautiful gazebo is a great way to hide from the sun and enjoy the surronding views of a garden or a pond. 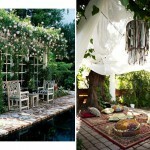 To create a romantic area to relax after work and feel yourself in an exotic place, go for lightweight fabrics, embellished throw pillows and comfy cushions to make an area absolutely gorgeous and also comfortable. In case if you don’t have the aforementioned water features you can consider adding a fountain to the outdoors in the vicinity of your lounge area. 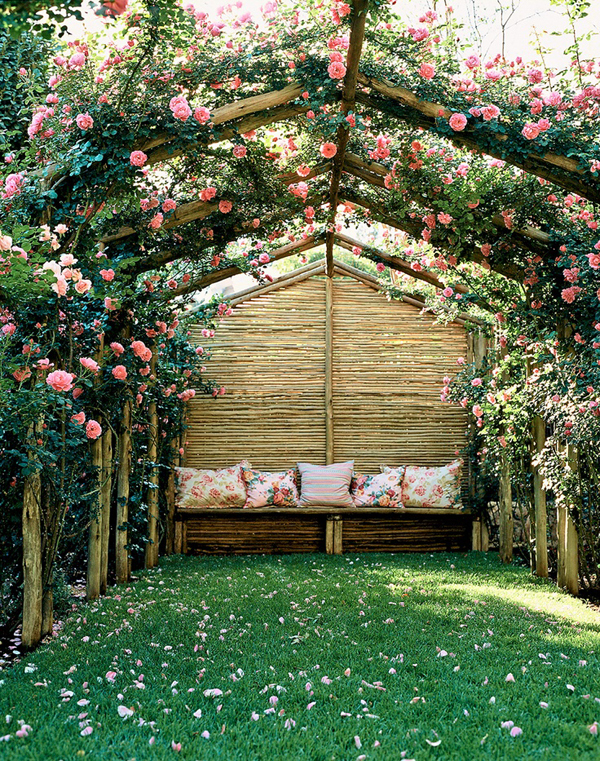 A pergola is not as good in sun protection as other awnings but it can just be a great support for climbing greenery that will eventually bring more cool and shade to the lounge area. 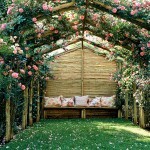 Besides what can be a better pergola decoration than greenery? 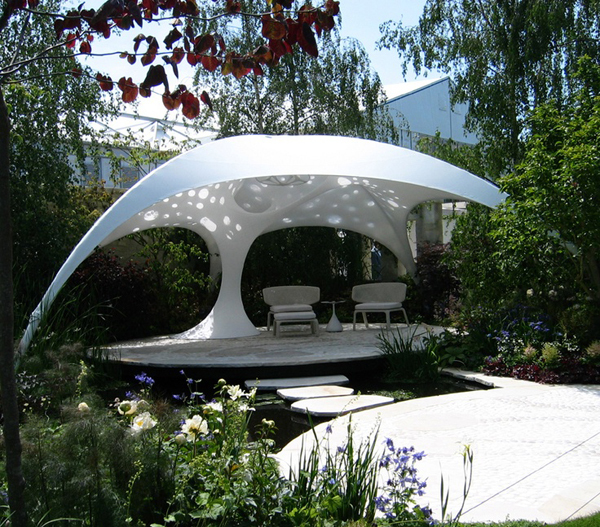 Pergola usually has a patio under it but you can easily create an ultimate lounge area with a daybed to sleep and relax on. A pool house is a great area for summer lounging. If you do have a pool, however, but not a pool house, you can easily go with a daybed that has its own built-in sun awning and enjoy at least a part of the comfort a pool house can provide. 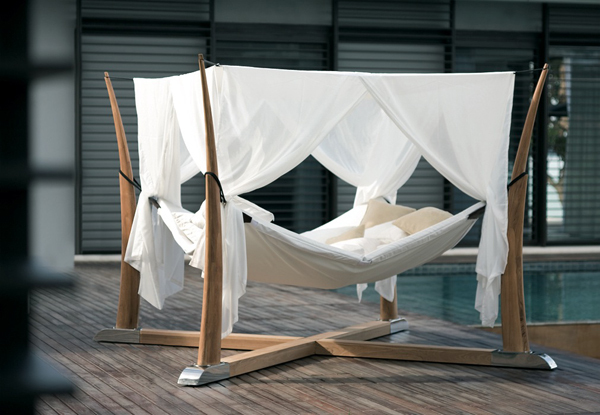 A beautiful canopy bed can add charm to the swimming pool and outdoors in general and create a private atmosphere for outdoor lounging. 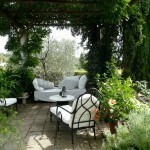 A garden escape is an ultimate way to cool off without a swimming pool. 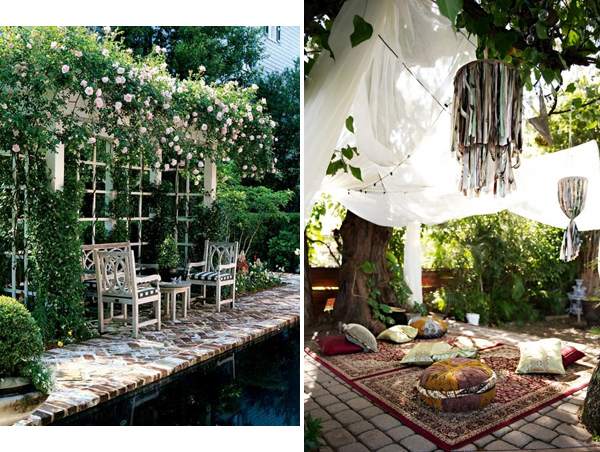 If you have a big enough garden you can choose an area with most shade and create a little nest there for resting, contemplating and conversing. 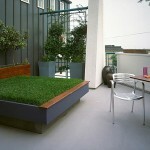 You can create a patio or place a small terrace there or add a sofa/daybed. 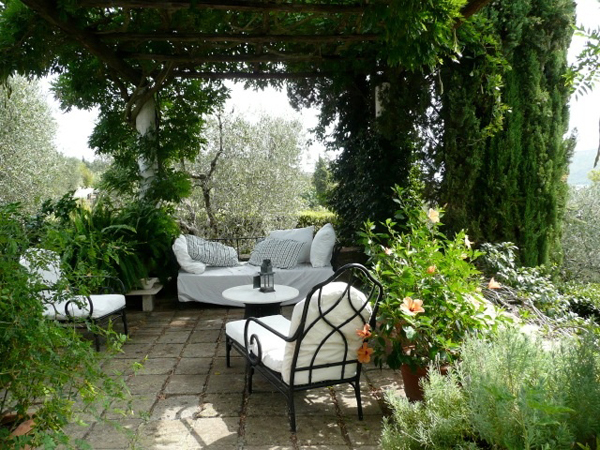 The heavier foliage is the better, as it will not only keep the sun at bay but will also provide with cool which is a great way to cut on power bills.